ItalyPokerDeals.com (ItalyPokerDeals, IPD) website is offered to you (the User) conditioned on your acceptance without modification of the terms, conditions, notices and warnings contained herein. Your use of the ItalyPokerDeals website constitutes your agreement to all such terms, conditions, notices and warnings. ItalyPokerDeals reserves the right to change the terms, conditions, notices and warnings under which the ItalyPokerDeals website is offered, at any time and without any notice. The updates will take aeffect as soon as they are stated here. It is your responsibility to regularly check for any changes / updates. 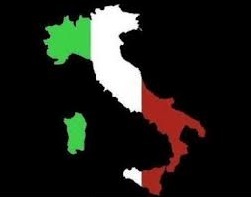 As a condition of your use of the ItalyPokerDeals website, you warrant to ItalyPokerDeals that you will not use the ItalyPokerDeals website for any purpose that is unlawful or prohibited by these terms, conditions, notices and warnings. The information, software, products and services included in, presented or available through ItalyPokerDeals website may include inaccuracies or errors. The information herein is periodically changed or updated and ItalyPokerDeals may make changes and / or updates at any time. Advice and information received via ItalyPokerDeals website should not relied upon for personal, medical, financial or legal decisions. Please contact a professional for specific advice of your situation. It is your duty to check if your country legislation allows you to access any gambling website. All content of the ItalyPokerDeals website are Copyright 2013 ItalyPokerDeals.com. All rights reserved.